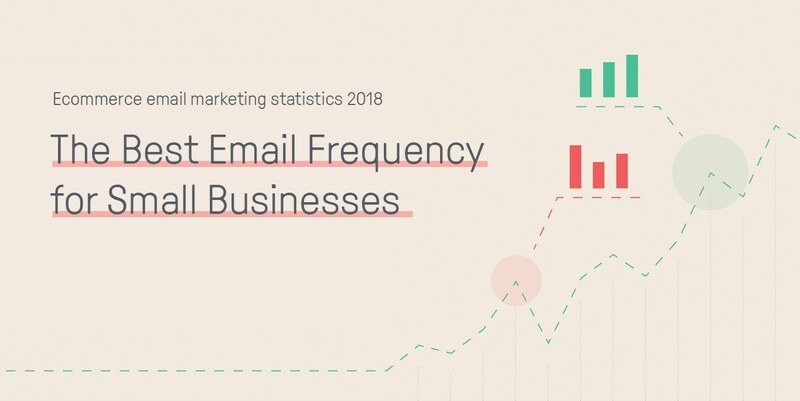 Email frequency is one of the many aspects that we analyzed in last year’s Omnisend email marketing statistics based on our customer data. 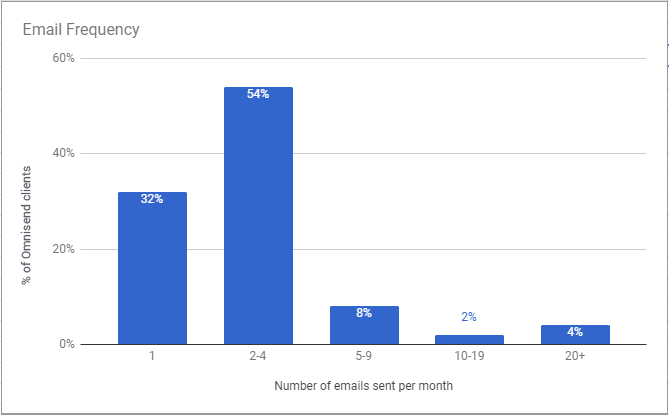 This time, we focused on the open and click rates by looking at the frequency of the email campaigns our users are sending out. The Omnisend ecommerce email marketing platform is focused on small and medium-sized businesses. The majority of our clients are new retailers who sell apparel, accessories, books and small electronic devices. 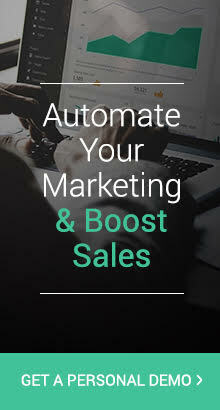 They start implementing email marketing with a small database (up to 5,000 subscribers) and send email campaigns gingerly – about once a month to once a week. This also goes in line with the fact that the smaller the brand is, the fewer emails they send, while the larger brands send more emails (sometimes even daily). In our 2016 Omnisend Research data, we noted that online stores that have more than 5,000 subscribers send email campaigns 2-7 times per month. Online stores that send emails every day or twice per week usually have 50,000 subscribers or more. This also makes sense because usually larger senders have more products or produce more content which is worthy to be shared in bulk email campaigns. It’s one thing is to send an email campaign once, twice, or four times a month. It’s another thing entirely to have those email campaigns be successful. So, how do our brands’ subscribers respond to the different emailing frequency? Let’s look at the chart below. At first sight, it seems like the more often you send emails, the less willing your subscribers are to open and click on them. Let’s assume that you have 1,000 subscribers and send them a newsletter once a month. Your subscribers are engaged with your brand and the subject line is good, so your open rate is 28% and click rate is 7%. This means that 280 subscribers open your email each month and 70 click somewhere. The average order count for monthly newsletters is 1.64, so you end up with about 2 purchases for the month. Now, if those same subscribers get your emails four times a month, the average order count per campaign goes up to 4.79. Each time you send a campaign, you get about 5 orders. If you multiply that by the four campaigns you send a month, that means that at the end of the month you get about 20 orders in total. So while the open rate does go down as the email frequency increases, the orders each month go up. 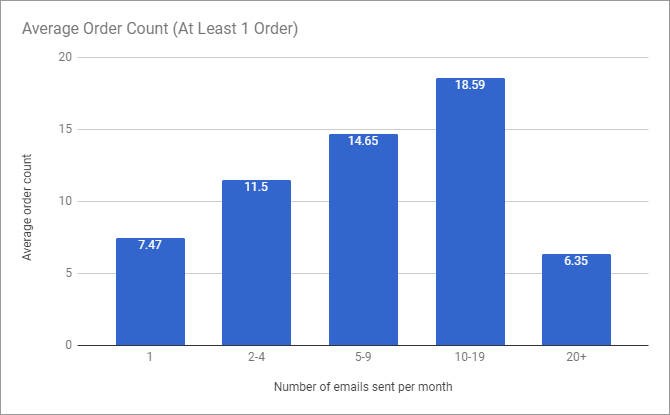 Looking at both charts for the average order count per campaign, we can see that customers positively react to emails sent to up to 19 times a month. 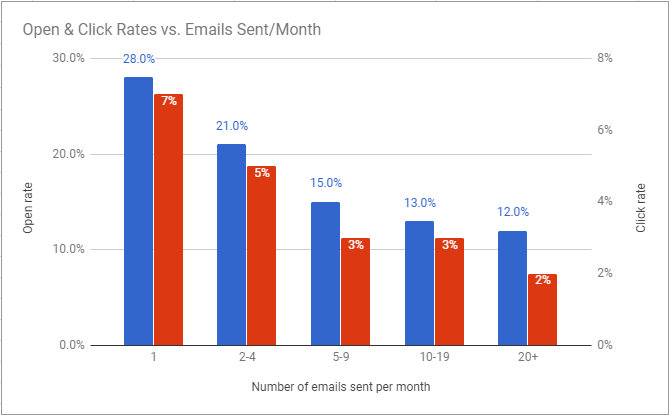 While the open and click rates drop dramatically as the email frequency increases, the average order count per campaign goes up steadily (up to 19 emails/month). 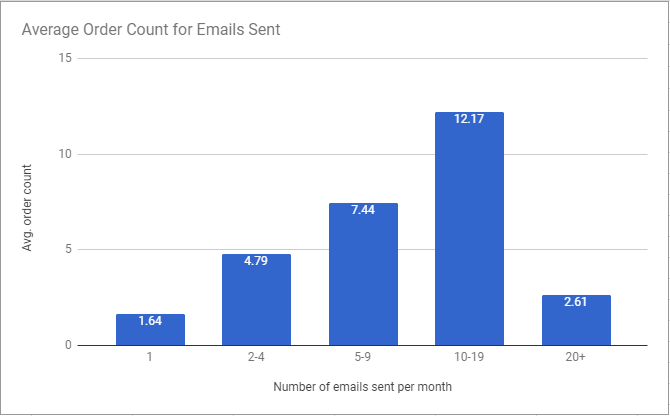 This article will probably inspire you to change how often you send out your email campaigns, which is good. But before changing your email frequency, take these risks and opportunities into consideration. No matter how cautious you are with your emails, by sending too few promotional emails you miss the opportunity to sell more . This is a fact. The more emails you send, the more visible your brand is. Even if customers do not open your email, it helps to stay at the front of their mind. Rarely sending emails may put your reputation at risk. Consistency and frequency are important in building your online reputation. Your subscribers will forget about you if you do not engage with them for a while. Content cannot suffer just by sending frequency. Make sure your emails continue providing value to subscribers. If you keep sending the same offers, they will unsubscribe and report your campaign as spam, which will affect your sender’s reputation. The more spam complaints you receive, the higher chances are that your future emails will start landing in spam folder more often, therefore your overall sales performance might drop. For more frequent communication, you need content, and generating quality content is very time-consuming. Engagement with every single campaign will drop. Customers will start to skip your campaigns and open them less. Email campaigns with lower engagement are at risk of being automatically marked as spam by inbox providers. So this game is always a bit of a gamble. If you send too many emails, customers will unsubscribe from your newsletter. After they opt out, you lose permission to market them via email. How can I find the right email frequency? The survey data shows that sending email campaigns once or twice a week is the best frequency for better sales . Split your subscribers into two groups. Let the first control group receive the same frequency of emails as you send currently. Start to experiment with the second group – try sending emails twice as often compared to the first group and see what happens. Bear in mind that for noticeable results you may need a month or even two. It depends on your current frequency. To determine your best frequency, you need to monitor the engagement and performance of the two subscriber groups separately and compare the results over the period: open and click rate, unsubscribe rate and conversions. In this way, you will be able to find your best email frequency. I hope this helps in your email marketing and sales. Check out the best time to send email campaigns. You can also check out our 2018 Omnisend Research in our email marketing infographic. Once in the week, weekend offer is best and depend on the festivals. Thank you so much for your nice article and useful advice. 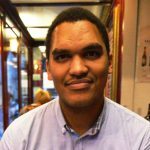 Very good article and thanks for sharing! *P.S. Came across this article when I was doing research on this topic. Have a great day ahead! Frequenza di invio delle newsletter: qual è il numero giusto?